I would like to invite you to join Pat and me on a very special journey that focuses on Egypt and Rome as we traverse western England and Wales. The itinerary is filled with exceptional specially-arranged events. Dr. Peter Guest, excavator of the Roman site of Caerleon, will spend the day with us at what is one of the largest complexes of Roman buildings in Britain including a recently found immense port. Dr. Guest will then take us to nearby Caerwent where stone walls more than 15 feet tall once surrounded a Roman city covering 44 acres. Much of these high fortifications still survive. 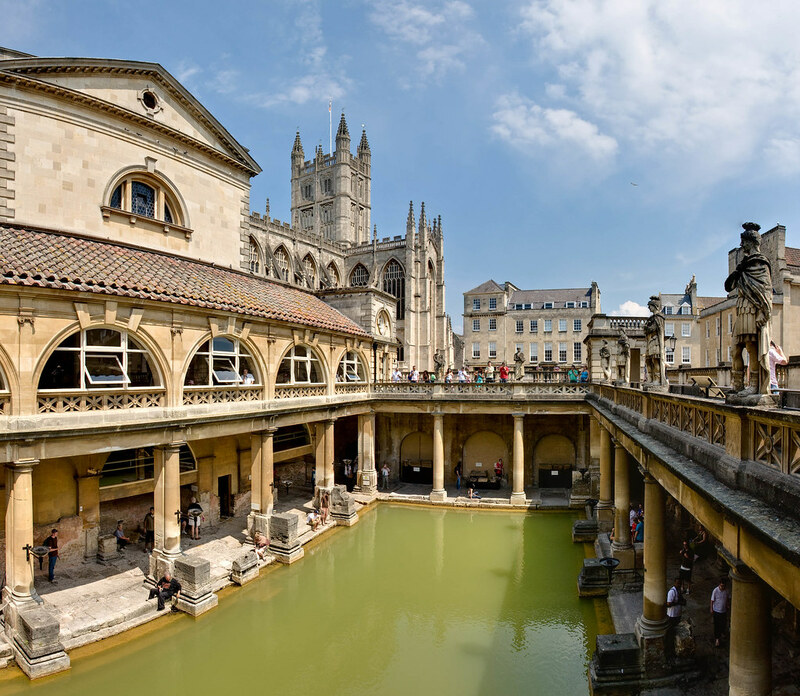 Our exploration of Roman ruins continue as we enjoy a private tour of Bath, exclusive walking tours of Chester and the Roman sites of London. Then there’s Leicester’s museum with stunning collections including detailed mosaics, intricate painted wall plaster and a beautiful Roman cavalry helmet cheek-piece. And let’s not forget Old Sarum, originally a hill fort built over by the Romans to become the town of Sorviodunum. And the focus on Egypt is equally dazzling! In Liverpool we go behind the scenes at both the Garstang Museum with the Director (and excavator in the western desert of Egypt), Dr. Steven Snape, and the World Museum with Egyptian curator Dr. Ashley Cooke. Each will give a private tour of the exhibits and bring out artifacts from storage rooms for us to actually pick up and view. At the University of Oxford, we will examine the Egyptian collection at the renowned Ashmolean Museum, and in London we tour the extensive collection at the British Museum, housing some of the most precious and outstanding Egyptian artifacts ever uncovered. With any luck, we’ll have a private tour at Highclere Castle, the home of Lord Carnarvon who funded Howard Carter’s excavations, where the intimate collection of notes and journals recount the glorious tale of opening King Tutankhamun’s tomb. Won’t you join me for this unusual journey?